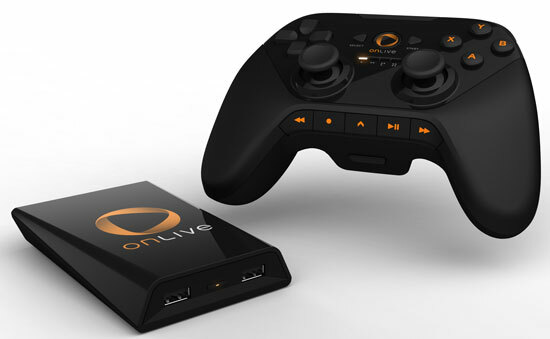 You can play PC games on a Mac, a TV and soon your phone with OnLive, a cloud-based gaming service. It does all the tough processing work in the cloud, allowing you to join in the fun using underpowered and even incompatible devices. And you can try it for free. Today you can run OnLive from within your PC or Mac's browser or purchase a standalone $99 mini-console that connects to your HDTV. And earlier this month, Vizio announced a deal to build OnLive into its TVs, tablets, smartphones and Blu-ray players later this year. I tested OnLive on several computers and the mini-console. Overall, the results were impressive, though there are a few wrinkles to iron out. The playing experience is smooth and nearly hiccup-free over a wired high-speed Internet connection. A three-year-old laptop with mediocre built-in graphics had no trouble keeping up. Even a Toshiba netbook, which has a tough time handling ordinary video streaming over the web, was playable for most games. Move to a wireless connection, though, and you may hit some speed bumps, even on a powerful PC. Or you may not – it depends on the quality of your wireless network. The standalone console is a compact device with HDMI and Ethernet connectors on the back (there’s no built-in wireless support) and two USB ports up front for connecting a mouse and keyboard. It also comes with a wireless controller that looks and feels very much like an Xbox controller, though not as responsive. There are about 40 titles in all, which doesn’t provide a lot of variety, and the selection of available games is a work in progress. It’s a mix of graphics-heavy action titles you’d expect to find on store shelves, such as Assassin’s Creed II and Batman: Arkham Asylum, and less horsepower-hungry indie games like World of Goo and Braid. You’ll find Mature-rated titles like F.E.A.R. 2: Project Origin alongside LEGO Harry Potter (check out the complete library). OnLive promises the library will expand in 2011, but it’s been pretty static for the past few months. On the plus side, you don’t have to make a commitment to give OnLive a try. Joining is free, and there are no monthly fees. 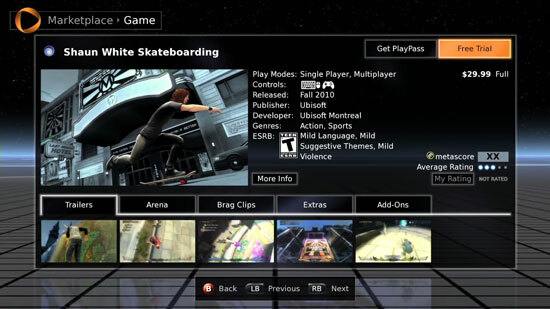 All the games have a free trial mode, so you can play before you pay. If you like a title, you have a few options. You can rent most games for three or five days, which runs roughly $6 and $9 respectively. It’s easier than driving to your local Blockbuster, and you don’t have to install and then uninstall game software – it lives on OnLive’s remote server. If you prefer, you can buy full access to a game, at prices that basically match off-the-shelf prices – except you don’t get the physical game disc, just unlimited online access to the game. What’s nice about this is having your saved games stored on the company servers, so you can pick up right where you left off no matter where you log on. There’s also a $9.99 monthly all you-can-play options, but it only includes 18 titles so far. Bottom line, OnLive is well worth a look. The service works as promised on a range of computer hardware, a substantial technical achievement. I’d hesitate to buy the game console – not that it doesn’t work well, but $100 investment seems like a lot to play a limited number of games. I'd wait to see if the Vizio deal helps fuel more game acquisitions. And stay tuned. There’s an iPad version of the gaming software in the works (an app is already available, but it only lets you spectate, and where’s the fun in that?). If there are decent touch-screen controls, OnLive could be a real winner for iPad owners.